We’ve teamed up with the folks from Hippo Beers to bring you a unique beer podcast experience. 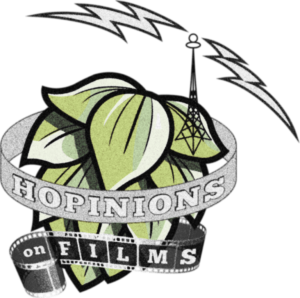 Hopinions on Films will see us work our way through the latest Behemoth Box from Hippo Beers while combining this with another passion that we have – classic films from the 80’s/90’s. First up will be May’s Behemoth Box matched with Back to The Future. Thanks to the folks at Hippo Beers you’ll be able to buy the same box and drink/watch along with us, just click here and use the code ‘BEEROCLOCK’ at checkout. Due to licensing issues we won’t be streaming the audio from the film, this will be playing in the back ground while we enjoy and chat about the beers and the film.